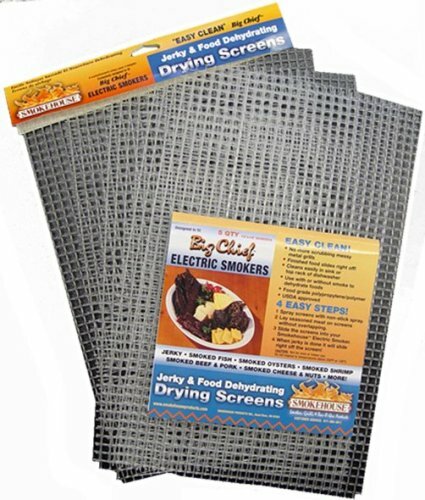 This combination of a Big Chief electric smoker and accessories make this the perfect way for beginners to start smoking their own fish, jerky, sausage, etc. Cee Dub considers the ‘Drying Screens’ more of a necessity than and accessory. These screens are dish washer safe and make cleaning up much easier as well as more sanitary. 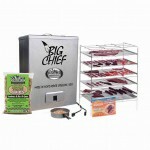 The Big Chief electric smoker and accessories combination of a great smoker plus the included accessories make this the perfect way for beginners to start smoking their own fish, jerky, sausage, etc. Cee Dub considers the ‘Drying Screens’ more of a necessity than and accessory. 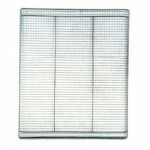 These screens are dish washer safe and make cleaning up much easier as well as more sanitary. 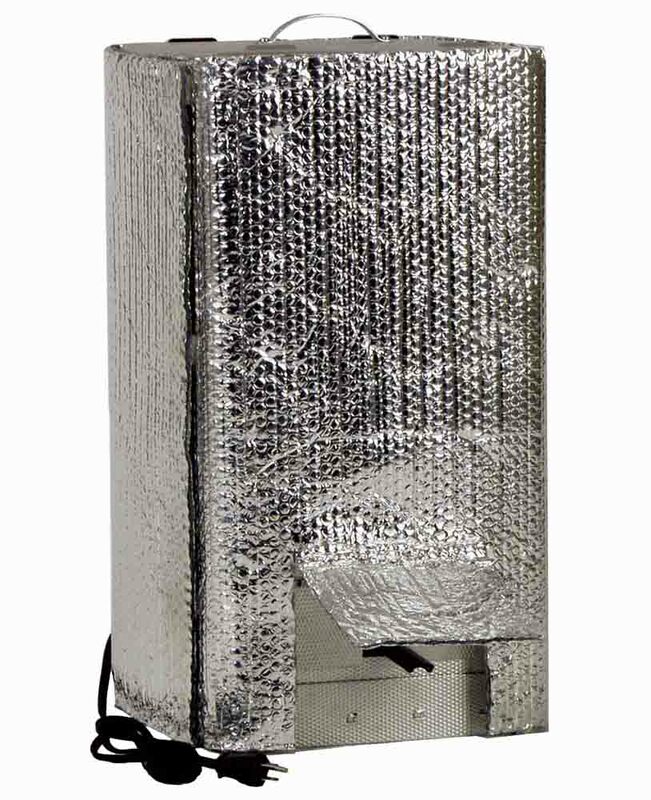 The insulation blanket makes winter time smoking as energy efficient as smoking in more moderate temperatures. Consistency when dealing with both time and temperature is a easier because the smoker temperature is held constant rather than fluctuating. The Big Chief/Little Chief family of Electric Smokers are energy efficient, easy to use and have been manufactured in the USA since 1968. Time tested for over 45 years There is difference between smoking food and cooking food. Other types of smokers with higher temperature capabilities often result in food that is cooked rather than smoked. 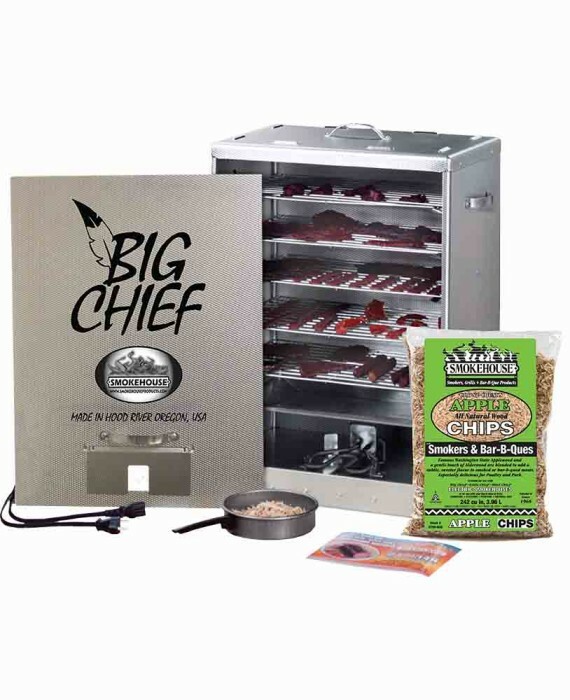 The lower temperature of the Big Chief/Little Chief Smokers allows them to serve double duty as food dehydrators.